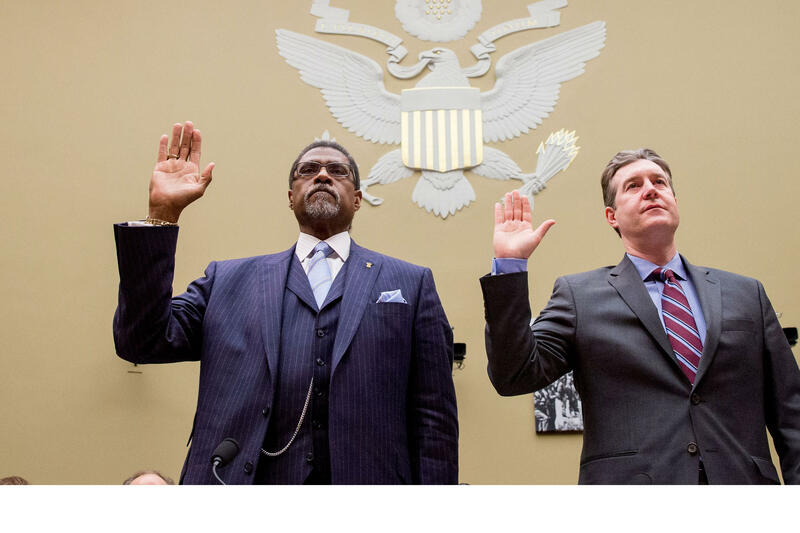 WSW: Michigan's Emergency Manager Law And The "Specter Of Flint"
Former Flint Emergency Manager Darnell Earley, and former Flint Mayor Dayne Walling, are sworn in to testify before the House Oversight and Government Reform Committee, in Washington, Tuesday, March 15, 2016. Michigan’s Emergency Manager is still on the books, it could very well remain there without any major changes. But Gongwer News Service Editor Zach Gorchow says it could be long time before another emergency manager is appointed. Gorchow wrote a blog post about the state of the Emergency Manager Law in the aftermath of the Flint water crisis. He spoke with WMUK’s Gordon Evans. Michigan has had an emergency manager law since 1990. It gives an appointed manager total control over a unit of government or school district. But a new version in 2011 brought major changes. It allowed emergency managers to unilaterally change contracts with employee unions. Gorchow says the new law also created a clear mechanism for a local unit of government to declare bankruptcy. Detroit became the largest American city to file for bankruptcy in 2013. "There just doesn't seem to be an appetite from anybody right now to install an emergency manager, they've taken a huge credibility hit since Flint." Voters held a referendum on the 2011 law, and rescinded it by a statewide vote in 2012. Lawmakers quickly approved a new Emergency Manager Law. Gorchow says, while critics were still unhappy, the new version allowed financially distressed local governments to choose other options. Those include a consent agreement where the state and local governments agree to a series of steps, or mediation. The Flint water crisis brought new calls to change or scrap the Emergency Manager Law. Gorchow says most of the managers have been financial experts. But the experience in Flint shows the manager makes decision about operations as well. Darnell Early, the emergency manager in Flint, decided to move ahead with temporarily changing the city’s water source to the Flint River. Early, and subsequent emergency manager Gerald Ambrose, did not switch back to Detroit water even after problems were reported. A legislative committee has recommended a new set up including a panel which would include one person with financial expertise, one who is an expert in operations and a liaison to the public. But Gorchow says there doesn’t seem to be much enthusiasm for changing the law. 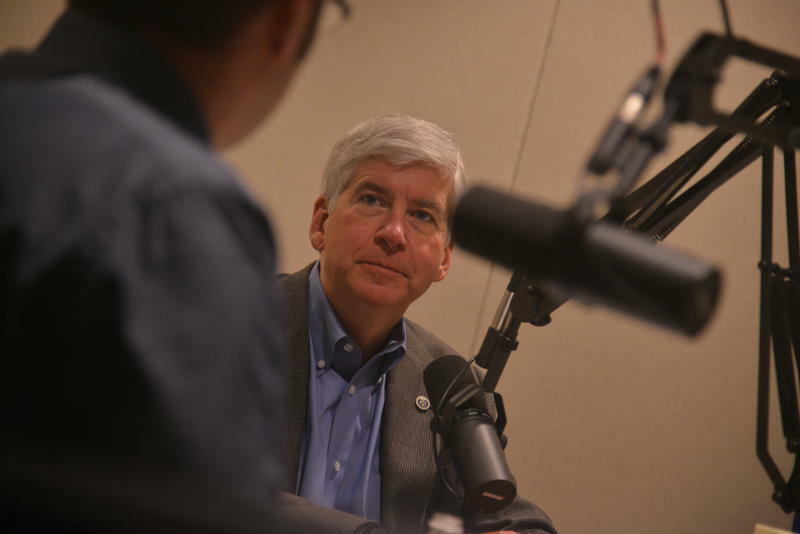 Governor Rick Snyder hasn’t made any recommendations, and no lawmakers have introduced new legislation. "It becomes an extremely unappetizing appointment." 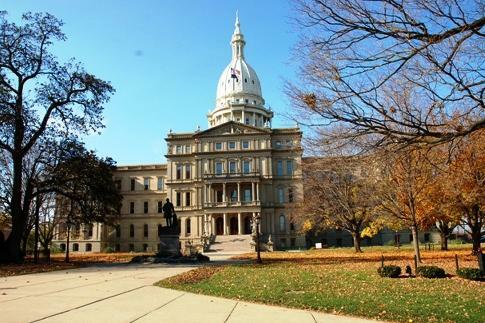 (MPRN-Lansing) Flint could name its own experts to oversee the response to the city’s drinking water crisis under a bill just sent to the state Senate floor. (MPRN-Undated) A federal appeals court has upheld Michigan’s emergency manager law. As part of the decision, a panel of judges held there is no fundamental right to vote for local government officials. (MPRN-Lansing) Governor Rick Snyder has increased his legal defense budget for one of his private attorneys to 3.5 million dollars.